You could say that this is a post about unexpected success in unexpected ways. Great products and services often come about more or less by accident and coincidence. The business world sees this kind of thing happening all the time. It’s actually not all that unusual that a company morphs an initial product into something it wasn’t originally intended to be. Because the truth is that it’s not easy to predict how something will be used, or what people will respond to. And of course, companies need to adapt to survive. For example, Nokia started out making rubber boots (waaay back in the day), not mobile phones. Nintendo started out making playing cards, not video game consoles. AOL started out as an online service for gaming computers in the early ‘80s. This also applies to our modern world of the Internet and the Web. Online services change and adapt, and what works, sticks, even if it didn’t match the original vision of its creators. Here are a few prominent examples of successful products and services that were originally just an afterthought to the people who created them. What would become the highly popular photo-sharing site Flickr originally started as the instant messaging part of a web-based multiplayer game called Game Neverending. The photo sharing element of that turned out to be very popular, and ultimately the game’s creators ditched the game and focused on Flickr instead. 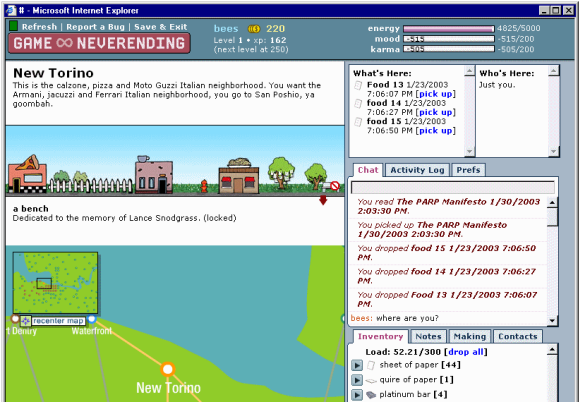 Above: Screenshot from Game Neverending (by Cal Henderson), which gave birth to Flickr. Craigslist began life in 1995 as a mailing list of friends run as a hobby by Craig Newmark (hence the name “Craigslist”) for posting about local social events in San Francisco. The mailing list wasn’t moderated, and to Newmark’s surprise people started using it for posting about jobs, and from there more categories started to grow. In 1996 he turned the mailing list into a simple web-based service because the mailing list members had started asking for a web interface. Twitter started its life inside a company called Odeo which at the time was a podcasting service. The idea for Twitter was famously cracked during a one-day brainstorming session to come up with some form of application to complement Odeo’s podcasting service, which was struggling a bit. Twitter was initially just used internally at Odeo and among friends and relatives of the staff. Within a year of becoming publicly available in 2006 it proved so popular that Twitter was turned into its own company and Odeo was basically left by the wayside. 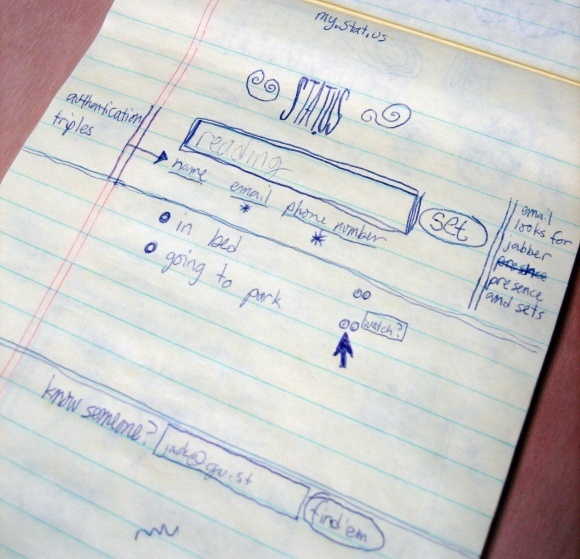 Above: Early sketch by Jack Dorsey of the Twitter service (photo by Jack Dorsey). The seed that would ultimately grow into the social network site Facebook started as a “hot or not” site called Facemash, using directory photos from the various Harvard house facebooks. Facebook founder Mark Zuckerberg created Facemash in his dorm room at Harvard University, more or less out of boredom. The Facemash site was shut down within days by the Harvard administration, but after an editorial in the student newspaper about the Facemash incident pointed out that a centralized website for students wasn’t a bad idea, Zuckerberg began work on “Thefacebook” (Facebook’s initial name). 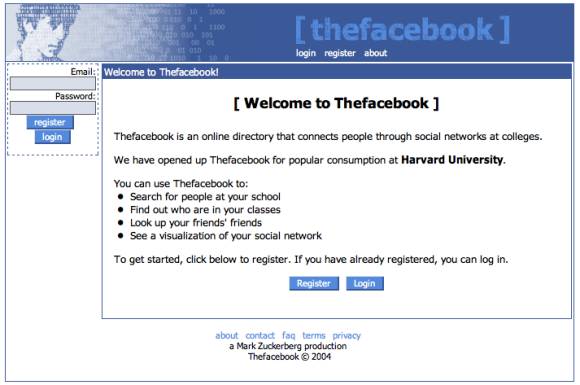 Above: Screenshot of “Thefacebook” (from Wikipedia). Ok, it’s not an online service at all, but we’re still including Linux because it’s such a great example of something very small that exploded into something huge in an unexpected way. In 1991 when Linus Torvalds started work on what would become the Linux kernel, no one suspected the impact it would have. It was simply a nice little hobby project for him to work on. He didn’t even think of it in the terms of an OS kernel initially; at first it was just a terminal emulator he was working on. When the Linux kernel was created, it turned out to fit perfectly into a project called the GNU Operating System, becoming the foundation of a complete OS that over time has become hugely popular. The above services (and Linux) all started out as something different from what they ultimately became. There is an important lesson in this, aside from how difficult it is to see the true potential of what you create. It shows how vital it is to be flexible, having a mind that is never too set in its ways or too fixated on any one single plan or course of action. 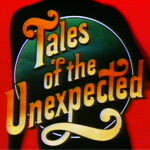 Top image credit: Tales of the Unexpected (old TV series) title image found at TVARK.